Paige here, your Red Deer Newborn Photographer. I've done posts before on what to expect during your newborn photography experience, and what you should look for when booking your newborn photographer, but I haven't really explained how the process works. 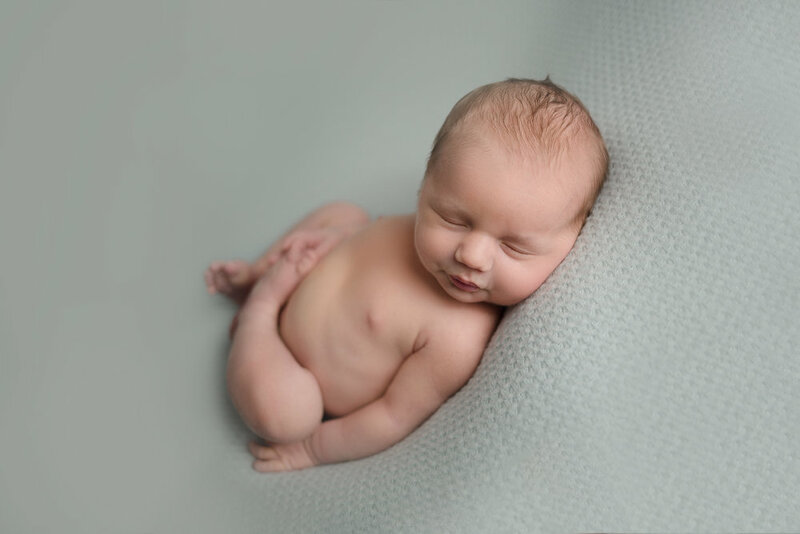 Paige Koster Photography aims to make the process simple, easy and knowledgable for both you, as the parent, and for Paige as your newborn photographer. You've scrolled through google, and Facebook a million times to find the right photographer, the one who is safety certified, has great quality and is a legal running business. You've found us and you are ready to book with us. But when do you book? How does Paige book you in if the dates are all approximate? When booking your newborn portraits, we always book for a tentative date of your due date. If you are being induced, or having a c-section and a date's already been booked, we book your session based on that date. Once baby arrives, we then book your concrete date for your session. Upon booking your session, you choose the right package for you and your family. We have 3 available packages, and each has it's own appealing aspects. Whether you want full family portraits with your newborn portaits or a simple just baby session, we have a package for that and everything in-between. View out packages here. Once you've sought out the best red deer newborn photographer - and you've picked your package - I send you over 3 things; A contract, an invoice and a questionnaire. Your contract goes over your rights, and mine. It also includes some helpful tips for the day of your session (I also send an email before your session date, that also relays this information). One very important aspect of the contract is our turn around time. Did you know, you can add a Maternity Session to your package for only $135.00? Your invoice will list your package, contents and prices! This also will have your payment plan listed (Yes, we do payment plans!). A 20% deposit is due on this invoice to guarantee your session date - we require this as we only take on 4-6 newborns a month to ensure we have room for each session. Your questionnaire, which is most likely the most important part, will ask you simple questions about your session. Questions like: What colours do you want to incorporate? What setups of mine have you seen that are must haves? Who will be in the portraits? All of this helps make your booking process run smoothly! This newborn photographer finally had her baby! I am not very good at keeping up with blogging, so I wanted to do a little bit more of a personal entry post for you. Don't worry, there are cute little newborn photos for you to view as well! As most of you know, this year I was due with our third child. Our due date was March 28th, and like my other two pregnancies, I thought for sure that I would be having this little guy early. As the weeks went by, and I approached my due date, it never occurred to me that I would go overdue! We are home and adjusting well with the help of my amazing Mother in Law, and I have already been able to return back to photographing all the adorable little babes being born this month! This last week, I've photographed 4 ADORABLE little newborns. Me again, Red Deer Newborn Photographer, Paige Koster! Here at Paige Koster Photography, we ended 2017 with a total of 8 Awards, including 2 ANFS Awards. This last award came in on December 30th, for this image which had already won an award. If you said to me at the beginning of 2017 that anyone would be recognizing my work as Award Winning Newborn & Maternity Photographer, I would have thought you were crazy. It's Friday - and what's better then waking up, grabbing a coffee and reading all about your favourite Red Deer Newborn Photographer? -Not a thing... Except maybe if you are still sleeping, because then I am super jealous of you. Anyways, I have a busy day ahead with finishing off some Christmas Mini's with some lovely clients! Tomorrow we have 3 back to back sessions which you will get to see sneak peeks of next week! I wanted to give you a glimpse of some before and afters of my images. Typically, photographers don't show RAW unedited images - but I really feel like in this case, to show you that what I do is a lot more then snapping a photo, these really show you the art and work that goes into newborn photography as well. Here is a little before and after to blow your mind! And yes, that's pee on the beanbag... She waited for a solid 5 minutes for me to move my handy dandy pee mat, just to pee on the fabric. (It's totally okay, and completely normal - and they get washed EVERY session, pee or no pee. First off, thank-you for reading my blog again - I know, my writing is brutal. Months ago, Johanna and I had an idea of heading out to Drumheller, Alberta to take some Maternity images for her new line of gowns. Johanna, being a fabulous dress designer her in Alberta, got busy, as did I. Flash forward to the beginning of October, Johanna messaged me and said "Let's do it! When can do it? ", and we booked a date and the rest is history (who hasn't wanted to say that?). Johanna, owner of JHGOWNS, worked fast and found us some gorgeous maternity models for the day and a wonderful makeup artist, Makeup by Chalsey, to work with us for the day. Everything was set to run perfectly and without a hitch. October 29th arrived and we all headed out to Drumheller, some of the models were on the road by 5am. As everyone arrived to Drumheller it was fairly obvious that we were in for a gorges day of sun, but what we didn't expect was all the wind! I believe wind gusts hit about 45/km an hour and increased as the day went on. And these models never let it bug them one single bit. I have to give Johanna lots of praise, because withstood the whole day without taking a break in the cold. Were talking 6 hours in pretty cold temps. Take a look below to view the images, and don't forget to leave a comment!